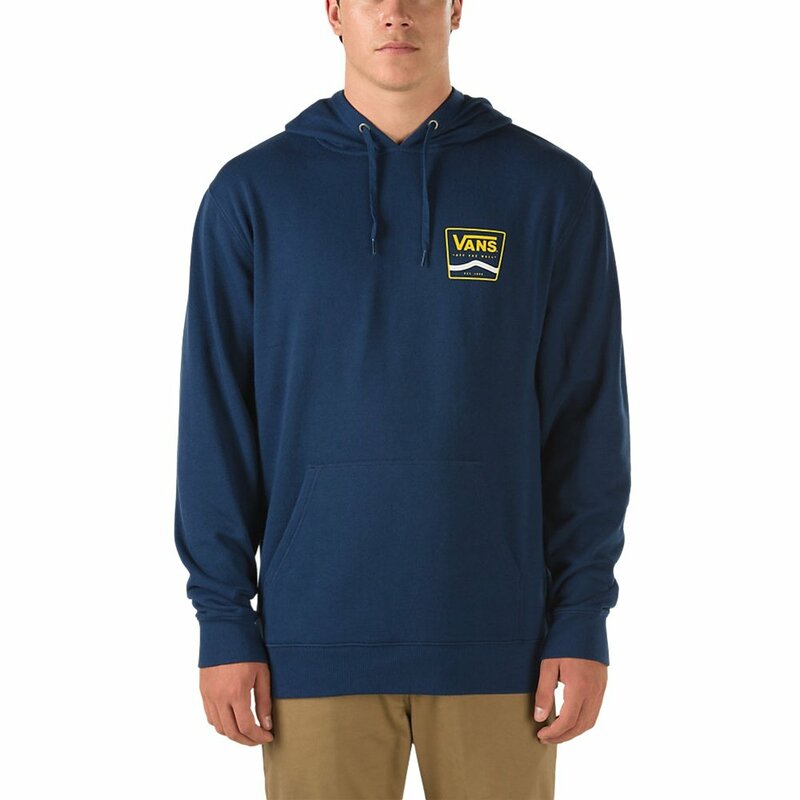 Don't overthink it, the Vans Classic Side Stripe Pullover Hoodie is the simple solution for what to wear when things cool down. It's a cotton-nylon blended fleece, so you get peak performance paired with cozy soft comfort. It's a traditional hoodie setup, with a drawstring hood and a spacious front pocket to keep your hands warm in.